Chocolate is a universal treat. People all over the world love the taste of chocolate. It doesn’t where they are from or how old they are. Some of the oldest companies in the world have been manufacturing the best chocolates since decades today serving us with the best cocoa products for years. The smell of chocolate increases theta brain waves, which triggers relaxation. White Chocolate isn’t technically Chocolate, as it contains no cocoa solids or cocoa liquor. It takes approximately 400 cacao beans to make one pound (450 gr.) of chocolate. Ferrero Rocher is perhaps one of the most famous and popular choclate makers in the world with the confectionary produced by the Italian chocolatier Ferrero SpA. The chocolates were first introduced in Europe back in 1982 by Michael Ferrero and is world famous for its truffle bars of milk chocolate and generous hazelnut helpings. The balls consist of whole roasted hazelnuts within a thin wafer shell covered in the best quality milk chocolates and topped off with chopped hazelnuts. We all know that Belgium is famous for its chocolates and Guylian is the standout confectioner in Belgium. Founded by Guy Foubert in 1958, Guylian is perhaps the most famous in the world for their production of Chocolate Sea shells praline with an assortment of fillings inside. 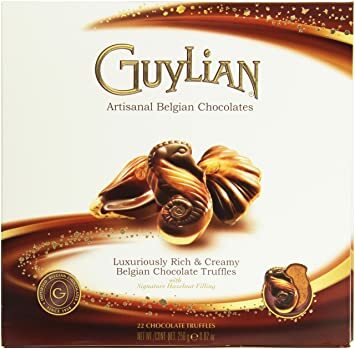 The company was acquired by Lotte Confectionary in 2008 for $164 million but still continues to produce chocolates under the Guylian brand name. Usually a luxury chocolate band selling products in gift boxes , the company specialises in wrapped chocolates chocolate bars and napolitans. Patchi is a luxury brand for chocolate and chocolate gifts. 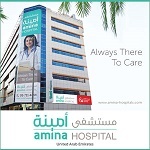 It is distinguished with a menu of chocolates with all-natural and premium ingredients. The Patchi Chocolate Menu contains a list of over 50 varieties. 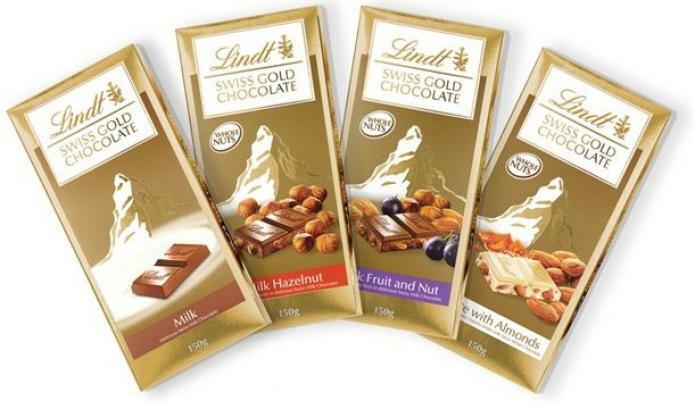 The Ghirardelli chocolate company, named after famous Italian Chocolatier Domingo Ghirardelli is an US division of Swiss confectiner Lindt and Sprungli and is perhaps one of the most coveted chocolate brands in the world. Incorporated in 1852, it is the third oldest chocolate company in the States and sports some of the largest variety of flavours and options in dedicated Ghirardelli shops. Sold in bar versions or miniature single squares, these varieties include milk chocolates, peanut butter chocolate and mint chocolate among many others. Toblerone is one of the most famous chocolate brands in the world and one of the top Swiss chocolate producing companies in the world.Owned by the famous US confectionary Modelez International Inc., Toblerone chocolates, distinctively known for their triangular prism shape had started being produced in Bern. 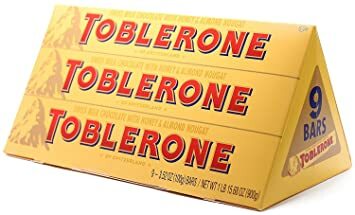 Toblerones, famously known for their nougat-rich chocolate contents have got a variety of flavours and variants like Snowtops, Plain chocolate, white chocolate etc. Owned by Mondelez international, Cadbury (formerly known as Cadbury’s) is a multinational British confectionary and the second largest confectionary brand in the world after Wrigley’s. Headquartered in Uxbridge, West London, the brand operates in 50 countries around the world and is famous for their Dairy Milk, Creme Egg and Roses selection boxes. 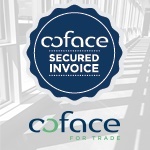 The company is the countries most successful exports since 1824. A British Chocolate bar, Mars chocolate bars were first manufactured in England back in 1932 and was advertised as being made with the chocolate couverture by famous chocolate producing company ‘ Cadbury’. The Mars bars have high nutritional values packing in 2.2g of Protein, 8.5g of Fat and 35.3 g of carbs. These chocolates are basically generous helping of nougat and caramel richly covered in milk chocolate and wrapped in a trademark black wrapper with red-gold edged lettering. 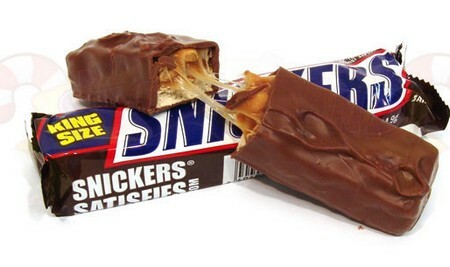 Snickers have continuously been one of the most delightful chocolate bars introduced in the market since 1930 and is one of the bars which provides a huge amount of calorie intake. Initially named Marathon until July of 1990, this chocolate bar by the American Company Mars incorporated consists of caramel and peanuts enroped in milk chocolate. The bar is one of the most preferred chocolate bars in the world with an approximate global sale value of over $2 billion. Kit Kat is a chocolate-covered wafer bar confection created by Rowntree’s of York, United Kingdom, and is now produced globally by Nestlé, which acquired Rowntree in 1988, with the exception of the United States where it is made under license by H.B. Reese Candy Company, a division of The Hershey Company. The standard bars consist of two or four fingers composed of three layers of wafer, separated and covered by an outer layer of chocolate. Each finger can be snapped from the bar separately. There are many different flavours of Kit Kat, including milk, white, and dark chocolate. 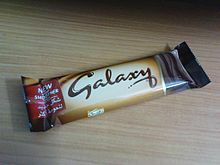 Galaxy (sold as Dove in many countries worldwide and especially Continental Europe) is a brand of milk chocolate, made and marketed by Mars, Incorporated, and first manufactured in the United Kingdom in 1960. Galaxy is sold in the United Kingdom, Ireland, the Middle East, Morocco, India, Pakistan, Egypt and New Zealand. The Galaxy and Dove brands cover a wide range of products including chocolate bars in milk chocolate, caramel, Cookie Crumble, and Fruit & Nut varieties, Minstrels, Ripple (milk chocolate with a folded or “rippled” milk chocolate centre), Amicelli, Duetto, Promises, Bubbles and Truffle. 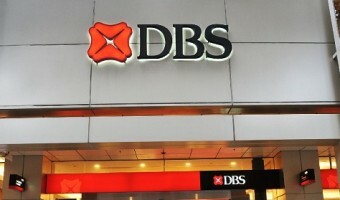 Related brands in other parts of the world include “Jewels”, and “Senzi” in the Middle East. The Galaxy and Dove brands also market a wide range of products including ready-to-drink chocolate milk, hot chocolatepowder, chocolate cakes, ice cream and more.